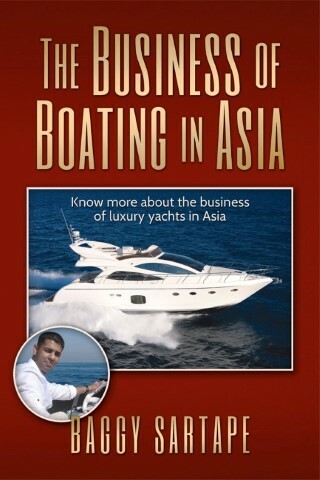 My first book has been published called “The Business of Boating in Asia”. its an honest effort to provide valuable information about the boating industry as a business in Asia. Including the history and the evolution of the boating industry. Simple and easy to understand, this book can be a valuable read for someone who is in the boating industry looking to expand, or simply for someone who is curious about understanding the business of luxury yachts and knowing more about the industry. Whether you’re looking to buy or sell, The Business of Boating in Asia has the information you need to stay afloat. This easy-to-read guide simplifies the business side of boating and the complicated political history of Asian countries. 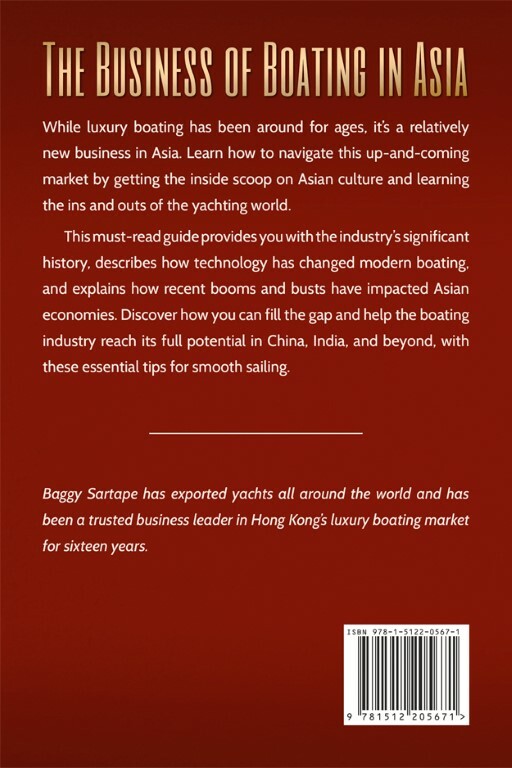 From the specifics of how this burgeoning business can provide high-quality employment for Asians, as well as tax revenue for governments, to basic boating tips for prospective buyers, this book provides you with a clear and thorough understanding of yachting so that you can have a better perspective of the growing Asian boating market.